Military Veteran Project is a volunteer-driven charity on a mission to prevent military suicide through research and treatment. Prevention of military suicide through research and treatment. The Military Veteran Project's mission to prevent military suicide through treatments and research not accessible or available by the Department of Defense or Veterans Affairs, veterans can come home after war to serve their communities, so that their shared legacy will be one of action and service. We bridge this gap between a Veteran's service and a healthy civilian life by training them how to return home after war..
We understand that returning service-members want and need to continue a life filled with purpose outside of the military. Through the generous and thoughtful donations, we invest those funds into treatment facilities and research. The chosen facilities that we closely partner with have years of proven experience to provide sustainable, community-invested concierge medical attention to Veteranss all around the world. Our work is fueled by a deep belief that our Veteran's are assets to our communities, whose compassion, integrity, leaderships skills and hard work ethic is needed now more than ever before. Through the Military Veteran Project, we have funded treatments and research in 27 cities nationwide and 4 countries around the globe - in America, Europe, Germany and Australia. Post-service suicide, improper diagnosis, lack of adequate medical care, family integration/education and strong partner organizations are all factors of the growing need for programs provided by MVP and our funded partners. We focus on providing Veterans with the quality care and attention they need and we feel they deserve. We also partner with corporations, foundations, and other nonprofit organizations to plan and execute veteran-led service projects nationwide. We believe all Veterans have the capacity to lead and unite both Veterans and civilians in service to our local communities. A life was forever changed for Melissa, a military spouse who received a phone call that her husband SSG Jamie Jarboe was wounded by a snipers bullet in Afghanistan. Jamie fought for his life after being paralyzed from the chest down from a sniper's bullet. Being bedside to her husband, Melissa saw first hand how budget cuts, short staffed facilities and how post traumatic stress disorder took its toll on their hero and family. Melissa started researching medical diagnoses, treatments and alternative therapies for her husband—then started the movement #22ADAY to bring awareness to issues and concerns of hundreds of other families facing struggles. "SGT Jamie Jarboe and his wife Melissa is a Story of True Love, Devotion and Faith. Jamie was assigned to a Troop, 4th Squadron, 4th Cavalry Regiment out of Fort Riley, KS, working for Task Force Spartan when he was shot in the neck on April 10, 2011. His and Melissa's Strength and Love is Incredible." …..And this story is far from over. With each passing milestone, human lives—the lives of veterans—are being dramatically improved through the support of the Military Veteran Project. The continued momentum of this effort relies on volunteers and has everything to do with one very small but powerful word. You. Discover how you can help write the next chapter by joining the Military Veteran Prjoect. Want to read more about Jamie & Melissa's story purchase a copy of Sacrificed- Memoirs of SSG Jamie & Melissa Jarboe. ﻿﻿Every year, through the efforts of our volunteer team and donations from supporters like you, the Military Veteran Project continues to make progress towards accomplishing our full vision and goals. Click below to see what we have been able to accomplish through the years. Every day, 22 veterans take their own lives. That's a suicide every 65 minutes. As shocking as the number is, it may actually be higher. The figure, released by the Department of Veterans Affairs in February, is based on the agency's own data and numbers reported by 21 states from 1999 through 2011. Those states represent about 40% of the U.S. population. 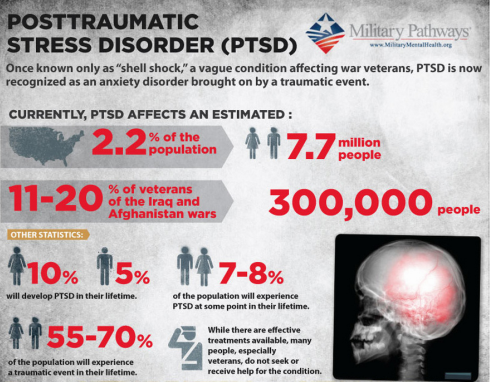 History of posttraumatic stress disorder (PTSD) or traumatic brain injury (TBI) has been found to increase risk of suicidal behavior. The association between suicide attempt history among veterans with PTSD and/or TBI was explored. PTSD history was associated with an increased risk for a suicide attempt. This increased risk was present for those with and without a history of TBI. Results support incorporating PTSD history when assessing suicide risk among veterans with and without TBI. The Military Veteran Project is a volunteer led organization, which means your donation does not go to salaries or big fancy offices, it goes straight to the veteran in need. The mission is clear, we are here to save lives and each day through donors and dedicated volunteers, we are able to do just that. Since being founded in 2012, the Military Veteran Project has been able to assist over 2,000 cases. Right now, a veteran who served multiple deployments is driving down the road looking for debris or pothole assessing the area for the enemy who may have planted an improvised explosive device. Right now, a 20 year old veteran is holding his daughter for the first time when he has a flashback of war time and goes into shock (post traumatic stress). Right now, a veteran is sitting alone in his/her home isolating from friends and family because they do NOT understand his jokes or coping mechanisms. Right now, a veteran is over medicated and not in control of his/her life and has pushed everyone away. 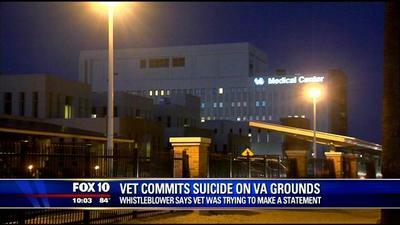 Right now, a veteran thinks the only easy way to stop the pain is to take his their own life. Right now, the Military Veteran Project is a mission of military suicide prevention through research and treatments and needs you to help carry on the mission! With research, treatment for post traumatic stress disorder and by diagnosing untreated traumatic brain injuries, we know a difference can be made and lives can be saved. Even one veteran life saved is progress. Help us save a life. A Veteran struggling right now needs your help. Donate Now Your donation will help save lives. This CAN'T be done without YOU! The Military Veteran Project is volunteer-driven—from the founders who started it all to the volunteer who signed up today. You are the reason that the Military Veteran Project can change and save lives! Learn about the history --So get involved!